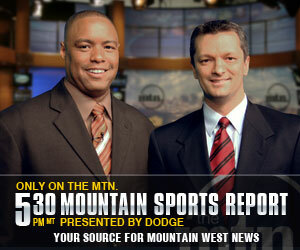 Thanks for your interest in THEMTN.TV. We send out an email newsletter to our site users with information about upcoming shows and coverage of the Mountain West conference. If at any time you wish to stop receiving the newsletter, simply click the "unsubscribe" link at the bottom of the newsletter to remove your email address from the distribution list. We take your privacy very seriously, and never share your information with outside vendors. username: pass: Forgot your password? | Create account?